If you are still using the original Rancilio Spout beak, but you are getting an uneven split from your portafilter, you can get a perfect split with a new beak. If you have an uneven split with the original Portafilter double spout, replace the original Portafilter Beak / spout. When you have an uneven split, you will never get it right with the original Silvia beak, it is not your fault. It is not because an uneven tamping, uneven coffee, unleveled machine or other creative reason. 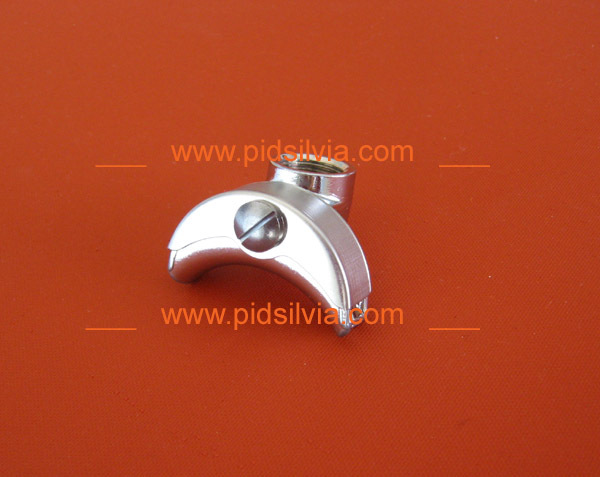 This beak is the smallest profile I could find with good quality, it will fit the Rancilio portafilter very nice. It is 9.5mm lower than the original Rancilio beak. Selling this double spout here. Other options are a single spout or a Bottomless Portafilter, also called naked Portafilter which will also allow you to fit taller cups.